Dr. Lewis attended Harvard College as an undergraduate and the Columbia University College of Physicians and Surgeons as a medical student. She completed residency in obstetrics and gynecology at the Mount Sinai School of Medicine in New York City and a reproductive endocrinology fellowship at the University of California-SanFrancisco. 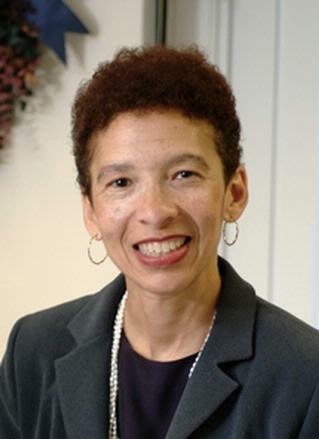 Dr. Lewis is a professor of obstetrics and gynecology at the University of Rochester, School of Medicine where she is also Associate Dean for Faculty Development for Women and Diversity. Prior to coming to Rochester, she was on the faculty of the University of Illinois at Chicago where she cared for infertility patients and ran a multidisciplinary menopause clinic. Dr. Lewis is certified by the American Board of Obstetrics and Gynecology in obstetrics/gynecology and reproductive endocrinology. She is a member of the numerous professional societies including the American College of Obstetrics and Gynecology, the North American Menopause Society, the American Society of Reproductive Medicine. She has served for two terms as a member of the advisory committee on reproductive health drugs for the Food and Drug Administration. Her areas of expertise include reproductive endocrinology, infertility, menopause, in vitro fertilization and hormone replacement therapy. Her current areas of research interest are: male infertility, menopausal health and hormone therapy. Lewis V, Martina CA, McDermott MP, Trief PM, Goodman SR, Morse GD, LaGuardia JG, Sharp D, Ryan RM. "A Randomized Controlled Trial of Mentoring Interventions for Underrepresented Minorities." Academic medicine : journal of the Association of American Medical Colleges.. 2016 Jul 0; 91(7):994-1001. Martina CA, Mutrie A, Ward D, Lewis V. "A sustainable course in research mentoring." Clinical and translational science.. 2014 Oct 0; 7(5):413-9. Epub 2014 May 29.